First of all, I have to explain in general the situation before 2009, i.e. the phase before we started establishing the community as a hobby organization dedicated to nature conservation. 1. 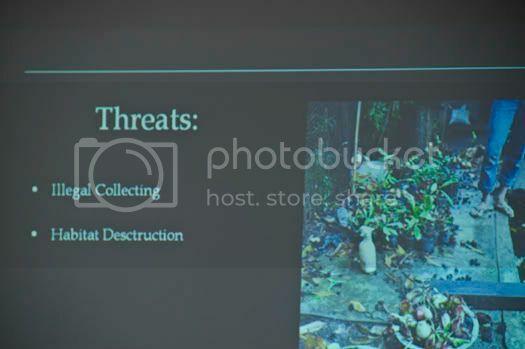 If the term “conservation” means “not taking any part of the plant”, then I guess most of us are poachers, because most of us have taken at least some part of the plant from the nature at some point in life, but that’s the reality. There is a big awareness gap occurs among the community members, in terms of Nepenthes conservation. Loosely speaking, at least there are three types of our members; those who are aware, those who are careful and those who are careless. The “aware type” take nothing from the nature and undertake active measures to protect and conserve Nepenthes habitats. The “careful type” take some part of the plants by minimizing the damage, think and act on conservation of Nepenthes to a certain degree. While the “careless type” do not think and/or act at all on conservation. In this phase of development, there were about 20 people listed as members of very loosely-tied, simple organization. Assuming that this number was about 1/5 of the total number of collectors, the real number could rise to around 100 people. Given that number, the composition of members based on the awareness type is: “aware” (0 people), “careful” (20 people), and “careless” (the rest of the members). 3. Under such circumstances, those 20 people have achieved significant progress including: (a) exploration to Nepenthes habitats, individually or together with international research groups; (b) propagating Nepenthes and legally trading them (importing from BE, MT, EP etc. 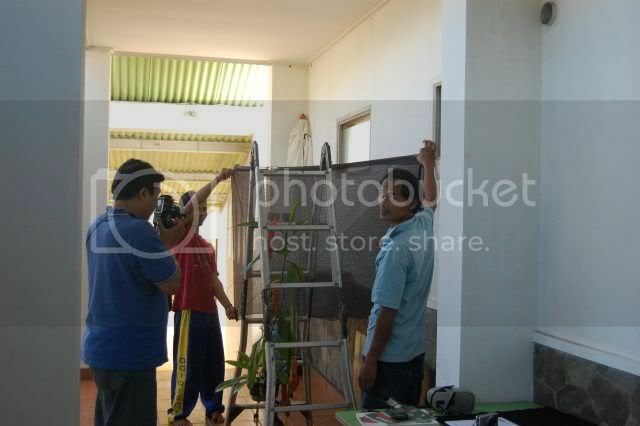 ; selling seed/cutting propagated plants). 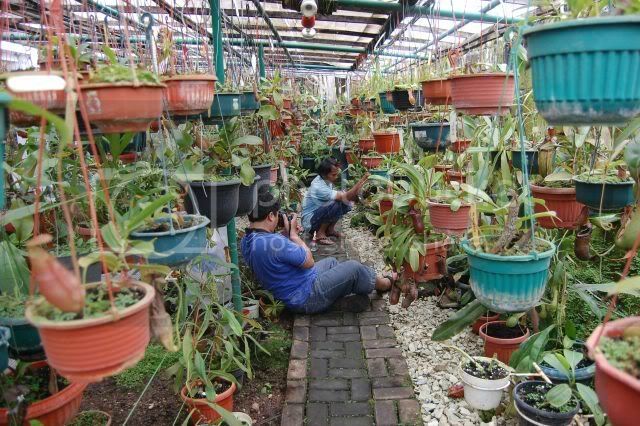 The trade of cultivated Nepenthes plants is necessary as a mean to promote cultivation of Nepenthes as a new plant with potential ornamental and business values in Indonesia, thus increasing public awareness and at the same time balancing/decreasing illegal trade on Nepenthes, considering that there is only one nursery specializing in carnivorous plants in Indonesia so far; (c) early efforts to propagate Nepenthes from tissue-culture (TC), unfortunately due to lack of financial ability and the only TC labs available are commercially-oriented ones, the progress has been slow. We have tried propagating N. clipeata from TC, but the attempt was unsuccessful because the lab used was much less than ideal; (d) sending seeds/plants to reputable international growers in order to cultivate them, as an anticipation of the high risk of extinction faced by Nepenthes plants in the wild; (e) publishing book(s) to promote Nepenthes cultivation and its proper care; (f) attempt to communicate with the government ministry of forestry, though their response was “we are still concentrating on animal conservation”. 1. In the end of 2008, we started activating the community, designing better community-based organization. In January 2009, we had all organization functions needed. There were department of business and funding, education and campaign, exploration and conservation, research and development. The organization was financially run by annual membership fees and small percentage of commission of buy and sell items or auction items placed by members in our on-line forum. 2. In the beginning of 2009, conservationally speaking, our focus was to collect funds to establish our own TC lab independently and to consolidate our members. We need a TC lab because the price of wild plants are so cheap as compared to imported TC plants. If TC plant vendors can offer less price then the problem will be less complicated. Besides, even when TC plants are available as in the case of N. clipeata of Wistuba, the access to the plants can be difficult due to constant high demand and limited stocks, not to mention the customs problems. In this case, scarcity becomes the trigger. 3. Consolidating the members is also important, as we fully realize that the members are the subjects and at the same time the objects of the lack of comprehensive conservation system. I can call them “victims” because mostly they don’t have any other choices. Today, some of the “aware type” members purchase wild collected plants because they understand the unique nature of the plants and get worried if the plants “fall” to the wrong people and die out in the wild. It is tragic but that’s the only choice. 4. Attempts to consolidate the members are not easy. Some of them are apathetic, or even pessimistic. The other factor is that many Nepenthes enthusiasts are hardly detected because they’re not used to going on-line in the forum. Besides, not everyone who is on-line is willing to join the group as a member, for unknown reason. 5. Besides dreaming about TC Lab, we were also working on ecotourism as a solution. The only obstacle, limited activity (only 1 of our members works by dedicating himself fully to the conservation of Nepenthes, the others are just part-timers since they work in various fields of work that are far from Nepenthes), made our concentration less focused. 6. 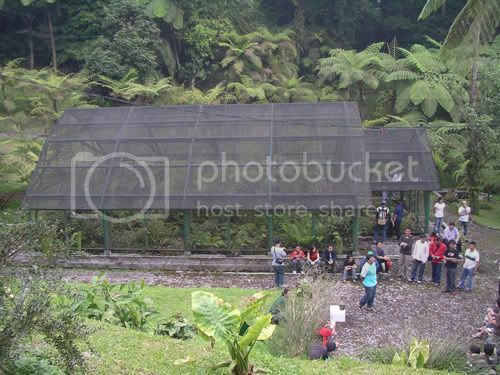 In the end of 2009, we started seeking possible cooperation with Cibodas Botanical Garden (KR Cibodas), West Java, to establish a comprehensive Nepenthes garden in their area. In this garden we plan to build a greenhouse for highland to intermediate Nepenthes, develop TC plants (since they have a TC Lab) and design ecotourism programs to N. gymnamphora habitat. 7. During our gathering at KR Cibodas in November 2009, in which Ch’ien Lee joined us to share his experiences on ecotourism, finally we confirmed that cooperation. But there was still a problem: our organization had not been listed as a legal organization. So we started to register our organization legally. 1. Now we have the legality status as a hobby organization based on conservation that has the legal rights to engage in business activities. The legal rights to do business are necessary for us because we want to hold import and export permits. Therefore, we can push our members to become more active in doing the cultivation. 2. As for the progress of Nepenthes Garden at KR Cibodas, at this moment we are entering MOU phase and are speeding up to find donations and/or local sponsors. So far there have been no funds obtained yet. Approximately we will need a total amount of 15,000 USD, while the amount we currently have is about 1,000 USD. We target the building to establish by the end of 2010. 3. The other conservation issue that we are working on, is finding data and building communication with local nurseries (we deliberately avoid the term “poacher” because we don’t want them to stand against us) and slowly, we have been trying to ask them to join us and persuade them to help us with our ecotourism business plan. 4. Some ecotourism programs that we are planning and doing are: (a) West Java (N. gymnamphora and Green House at KR Cibodas), (b) Central Java (N. gymnamphora and N. adrianii), (c) West Sumatra ( 8 species) and (d) Mt. Kelam, West Kalimantan (N. clipeata). For program in West Java, we have found ideal partner (KR Cibodas). 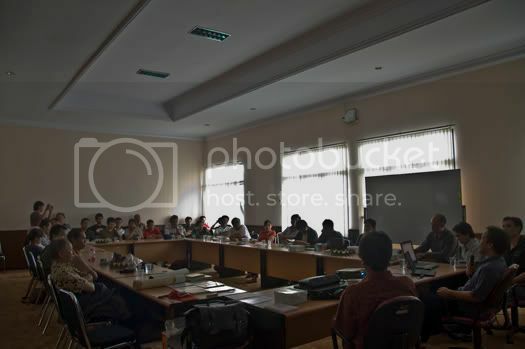 For program in Central Java and West Sumatra, we are still building communications and trying to convince some parties. For West Kalimantan Barat, especially N. clipeata, we are still collecting information and finding the best ways. 5. Since 2009, we also started selecting unique and attractive Nepenthes individuals from our members’ collections to be cultivated and traded in the future. 1. If you have any questions, ideas, or suggestions about conservation in Indonesia, please let us know by visiting and participating in our discussion forum (FTB) at tanamanbuas.proboards.com or email me at sofyandavid@telkom.net.id. The FTB discussion forum is mostly in Indonesian but most members understand english as well. 2. 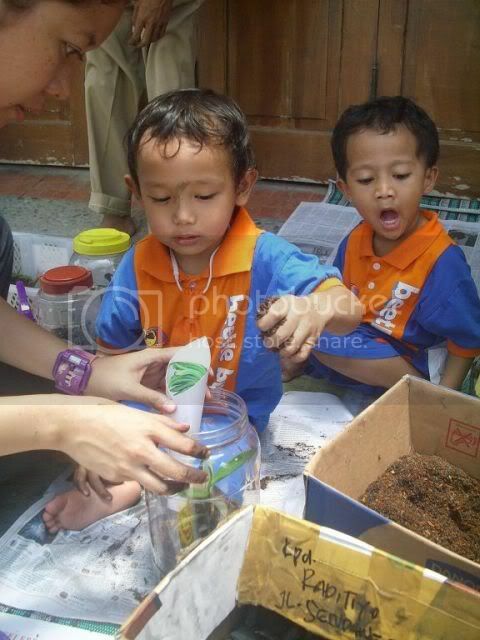 We would greatly appreciate any supports, including financial support, knowledge and/or expertise, seeds, plants etc. In our Cibodas Botanical Garden project, We welcome you to donate your plants to Cibodas Botanical Garden, West Java, and we will mark the plant with your name as a reminder for your contribution. Please contact me at sofyandavid@telkom.net.id to find out how to donate. 3. It might be a good idea for you, as an individual or on behalf or your organization, to send a letter to our government expressing concern over Nepenthes habitat destructions in Indonesia. If it is possible for you to do that, we can prepare the necessary data and arrange the draft of the letter for you. 4. 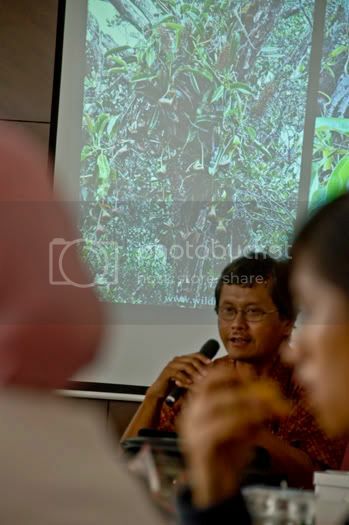 As you already know, we are persuading local nurseries to do business migration from selling wild-sourced nepenthes to ecotourism business, but some of us are worried if the business may turn out to be not as easy or as good as expected and they may turn back to their previous poaching activities. So, if you think you have any experience, we will greatly appreciate your sharing of experience in ecotourism business (obstacles, solutions etc). 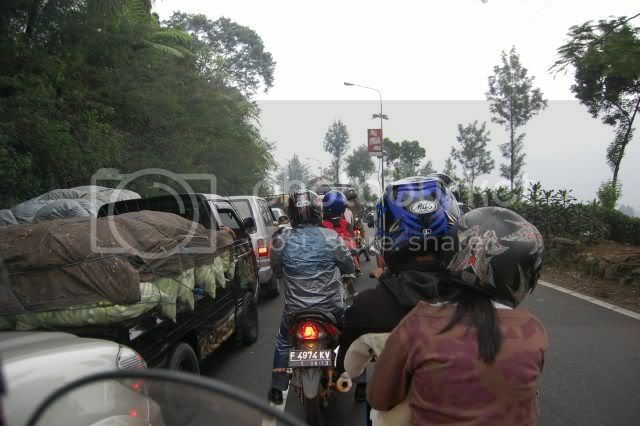 For the time being, these are the conditions of Nepenthes conservation efforts in Indonesia. 1) Does your "hobby organization" have an official website with a President, Treasurer, Secretary and Board, other than just a Forum? When did it officially begin? 2) With the strong web presence that the ICPS has as an international Society for over 30 years, how come we haven't heard from you and your colleagues at all for the last two years, during the formation of the prior events you've listed above... until now? Surely one would think that we would be one of your first contacts for assistance with this unfortunate matter, even in the earliest infancy stages of your quest as a conservational organization. I'll gladly submit a letter to your government which pertains to Nepenthes conservational issues. Something most definitely needs to be done regarding the poaching, selling and endangerment of Nepenthes 'in situ'. Thanks for your comment, Brian. Unfortunately the progress of the organization has been relatively slow because CP was previously not popular in Indonesia. 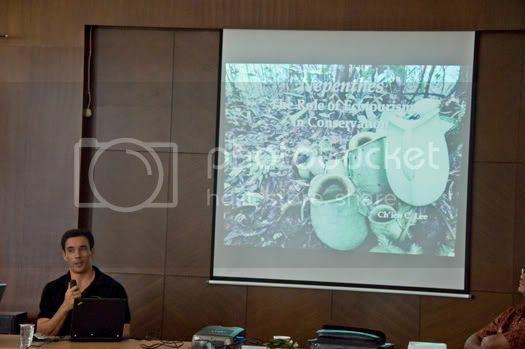 There were frequent misunderstandings and lack of knowledge regarding Nepenthes and other types of CPs, so the first job was to attract members to join the forum and to provide information to the public so they will know better about CP, its proper cultivation techniques etc. Most of these tasks were carried out through the FTB forum, which, until today, is more of a "hobby ofriented" forum rather than "conservation oriented". Later, we started to get to know each other, we had several offline meetings, where we exchange seeds, plants, cuttings etc. And since 2009 we started to have our first official board of organization with targeted programs. 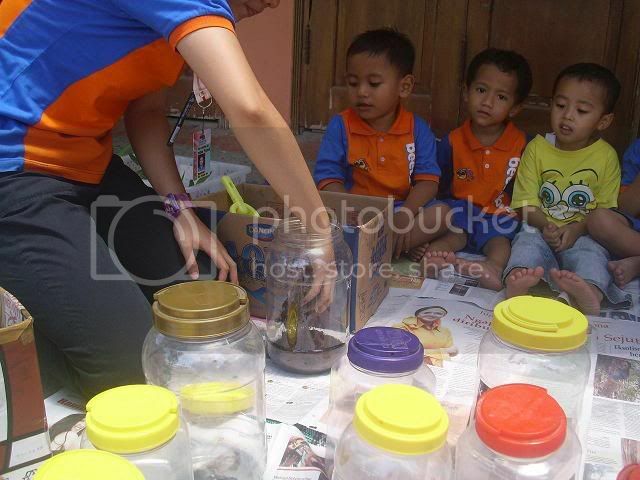 For example, one of our programs in 2010 is to "go international", i.e. to introduce ourselves to the "outside world". Suska is now the president of KTKI, John Muhammad is the operational chairman, and there are several functions and divisons including secretary, membership division, regional representatives, RND division, business and funding, education and campaign, expedition and conservation etc. 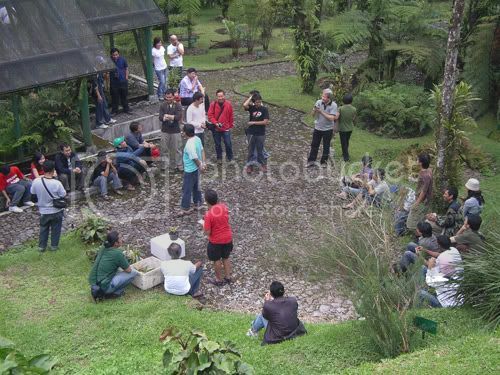 In our 2009 gathering, we invited Ch'ien Lee, the Conservation Head of Cibodas Botanical Garden and some local botanical experts to have discussion with us. Slowly but sure, we are becoming more concerned about the great responsibilty that we have because of our hobby, And that's why we are here. Because we care. Since early 2010, KTKI has become a legal organzation with the legal rights to import and export plants and do the plant trade. The reason is because we realize that most cultivated plants available today can only be obtained "legally" from international vendors, and we thus we have to obtain a permission to import such plants. Therefore we are not seeing conservation as pure conservationists do, but we want to let as many people, even those who are "less lucky" to enjoy the plants while leaving the habitat untouched. Our web-based discussion forum (Tanaman Buas) is currently accomodating more than 1000 members worldwide. And the official website (in Indonesian currently) is www.ktki.or.id. Thank you Brian, I am glad that KTKI and ICPS are on the same board, as we are so enthusiastic about making other people know that we do exist. As an analogy of our government, sometimes "a father" does not want to hear from "his own child". He tends to hear more of what his neighbor says. We are still a baby and we cannot work alone to make our dreams come true. PS: do you have a facebook account? If you do, perhaps you can add me and we can make a closer network. My name is Ryan, and I was planning on traveling to the Phillipines this coming December. I am a student at the College of Environmental Science and Forestry in Syracuse, NY and I was wondering if there is anything that I can do in regards to vonlunteering with KTKI, or any other conservation related program involving CP's, or other tropical plants in general? 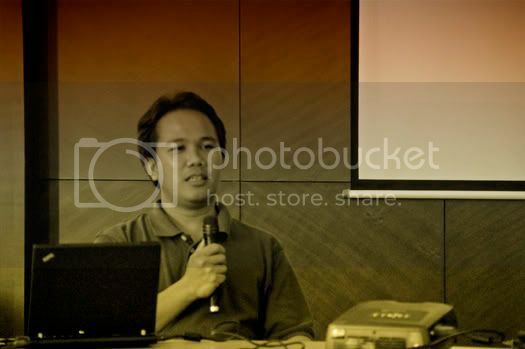 Do you know Irwan Lovadi, Head Division of Administration at Betung Kerihun National Park of West Kalimantan, Indonesia? He's currently involved in N. clipeata conservation. I look forward to our continued communications. Brian, many thanks for ICPS commitment. Hope we make great cooperation in the future. David is our Coordinator of International Relationship. 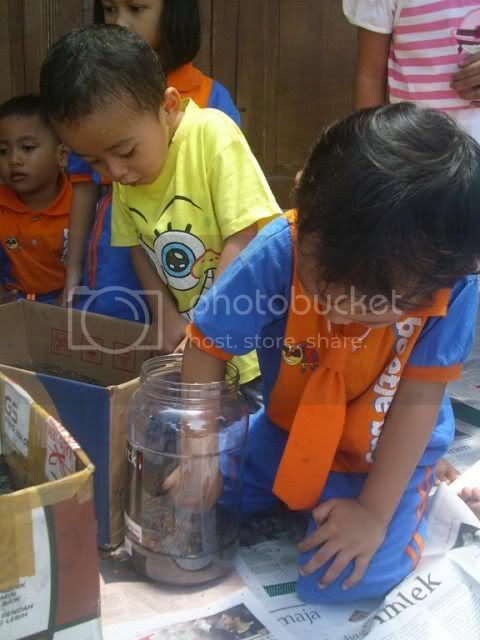 Wijaya and Longor, also help us in this department. Back to topic, first of all, I think we must consolidate our concept/strategy/program/work about conservation in Indonesia. I assume that ICPS already have a blueprint/work of Nepenthes conservation. So maybe, we can adjust our work and program to yours. I don't know about Irwan Lovadi, maybe Suska knew him and our member in West Kalimantan, probably can reach him. Do you have email contact about him or share with us what his progress now? We have some plan about N. clipeata (see my PM). Anyway, thanks for this information. About letter to our government, it's just an idea to give external pressure. It's okay but we must wait for a good momentum. Another idea is: ICPS make a task force or technical partner for supporting all conservation department in CP's community organization for all habitat country. Maybe, we can start with International Committee. Let's say: International Committee for CP Monitoring to Indonesia, ICCPM to Thailand, to Malaysia, to Philippine or other habitat country. Which is, CP community make and send the habitat report to ICCPM and ICCPM do the international job (press conference, press release, collecting international support, fundraising, etc). This's what I learn in human rights issues..
Ryan, thanks for offering your hand. Yes you can join with us. KTKI now accept international member. Please, ask David about it. Individually, you can share your knowledge/skill/experience and also come here and join with our project: forming ecotourism, monitoring, exploring, or researching. But if we have "another Ryan" or more Ryan, I think we can operate some collective works..
Can you see the one with the hat? That's me... and yup that's Ch'ien Lee in front of the screen. I have joined the ICPS page on facebook. ".... we will develop and produce campaign materials, such as t-shirts, posters, flyers, and key rings. The campaign materials will then be used for school visits and village meetings, and distributed to important target groups (e.g. local government officials, conservation clubs, mountain climbers, NGOs). Students and local communities around Mt. Kelam will be target groups for the programs." We also have cooperation with PILI (Indonesian Environmental Information Center) in which they distribute their nepenthes educational posters to our members. PILI also has its own newsletter called the "INCL" (Indonesian Nature Conservation Newsletter). ryan: that's great, we'll be happy if you can volunteer with us. We don't know exactly what we can do together, perhaps you can join us in one of our expeditions, but when you come to Indonesia, please contact me or let's discuss it in FTB forum. 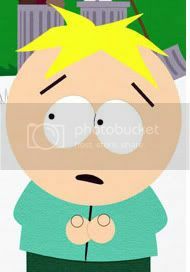 OMG is that right, Brian? I didn't notice that. 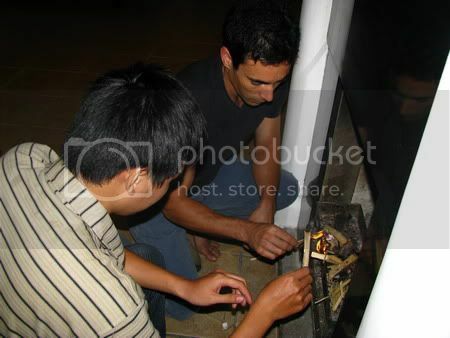 When I contacted our supplier, he said that he got the pic from the internet somewhere. Gee, I'm glad you let us know before these sample items are mass producted. Those mugs are only a product preview (prototype) so far. We will stop the display and future mass production of these items immediately. This is what I like about being in international relationship division of KTKI. Other parties can give us feedback. This is a positive progress for KTKI. Thanks! Actually we are not in constant communication with Chi'en Lee. Except that he's one of our Facebook buddy. But if we meet him again, I will tell him about you. Looks great! The t-shirts are awesome. Would you like one of those T-shirts Brian? PM me your size and address and I will send to you. 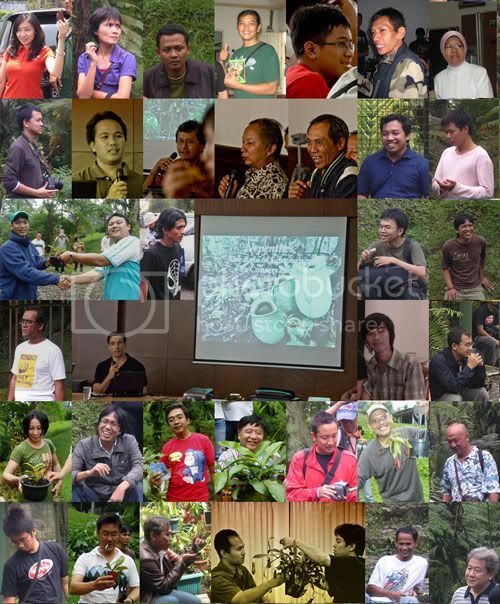 Yesterday (Feb 26th, 2010), Suska (the President of KTKI) and the leading indonesian protein engineer, Arief Witarto, went to mr Yanto (KTKI member)'s Nepenthes garden in Cimacan, West Java. 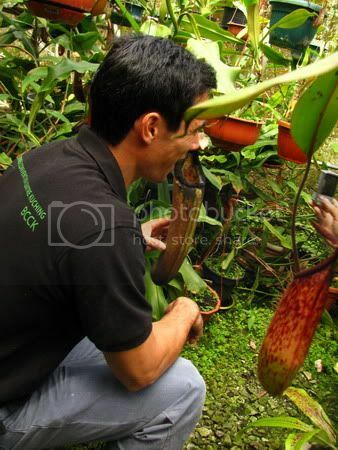 They took some Nepenthes photograps and videos which will be used to create 3D reconstruction of Nepenthes pitchers (and plants), as well as taking Nepenthes leaf samples in order to obtain their DNA. 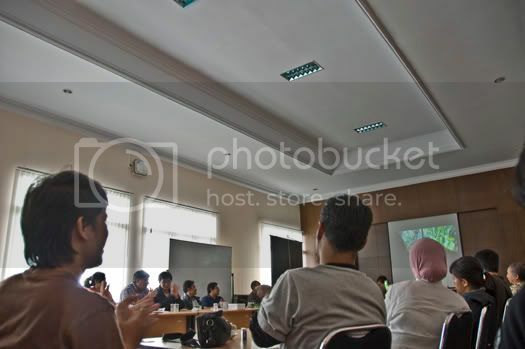 According to Arief, this is part of his proposal (which has been approved) to the Ministry of Research and Technology of Indonesia, on collaborative research between Indonesia and the government of United States regarding the creation of Indonesian bioversity database. Microsoft has participated through their high-end computers as storage for the biodiversity database. As a start, the approved database will be the coral and nepenthes. The outcome of this collaborative project will be presented to President Obama during his visit to Indonesia on March this year. Arief Budi Witarto is a member of KTKI and currently works for the Biotechnology Research Center of LIPI (Indonesian Institutes of Science ) in Cibinong, West Java. 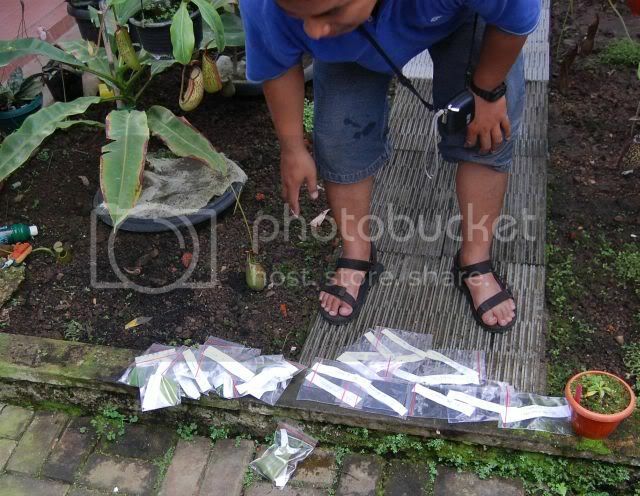 Arief has been doing studies on meristem tissue culture and proteins expressed in leaves and pitchers of upper and lower pitchers of Nepenthes for the last 3 years. 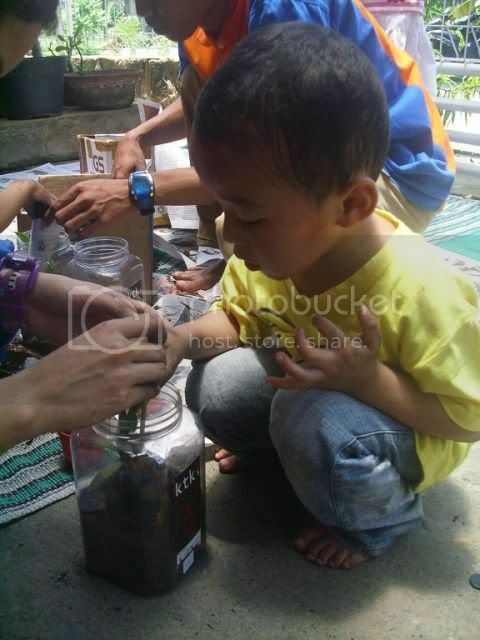 "This one starts as a hobby," said Arief. 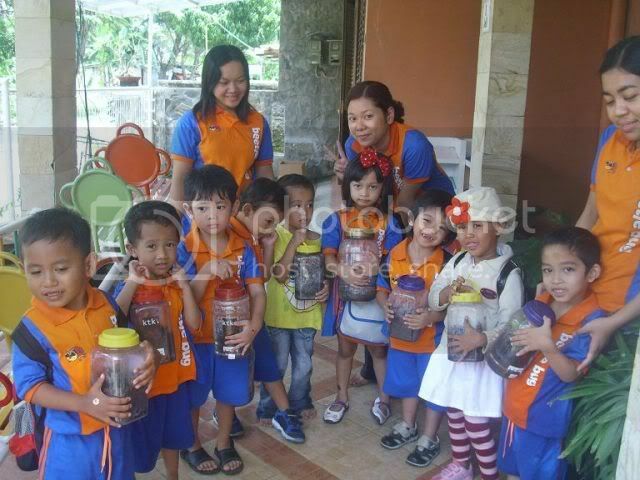 "I was inspired to use the pitcher for protein production. By using this plant it won't be necessary to do extraction process as we do when we produce protein in tobacco leaf for example. We are developing tissue culture in order to insert the DNA. 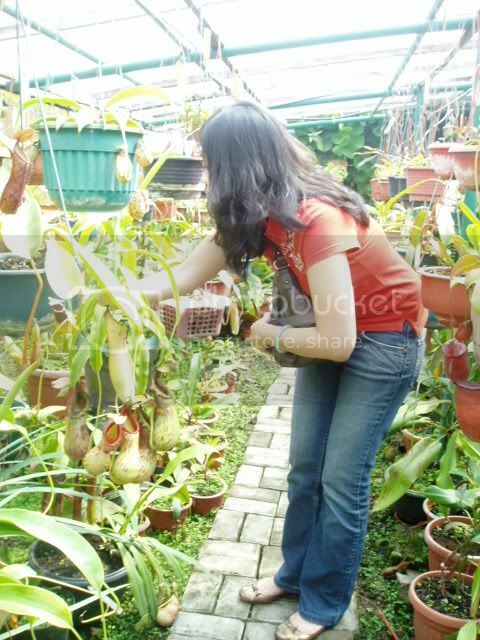 If successful, this could be the first in the world", said Arief who obtained protein samples from the pitcher of Nepenthes gymnamphora. This research could be the first effort on using Nepenthes for molecular farming that has been known so far. Activity test on the isolated protein has shown that the protein is protease enzyme, probably Nepenthesin I and Nepenthesin II. Dr. Arief Witarto is the winner of Fraunhofer-DAAD Technopreneur Award 2007 for the subject of molecular biology. His research title is "Molecular farming of human granulocyte-colony stimulating factor (hG-CSF) in tobacco plant" was selected by Fraunhofer and DAAD team as a winner and beat 9 other candidates in molecular biology. Human granulocyte-colony stimulating factor (hG-CSF) is intensively used in cancer hospital for the treatment of ameliorating neutropenia as major side effect of cancer chemotherapy and after bone marrow transplantation. Producing recombinant protein using plants, an effort called "molecular farming" has also become into focus in agricultural country of Indonesia. Dr Witarto will cooperate with Dr. Stefan Schillberg, Fraunhofer IME, in developing his project. 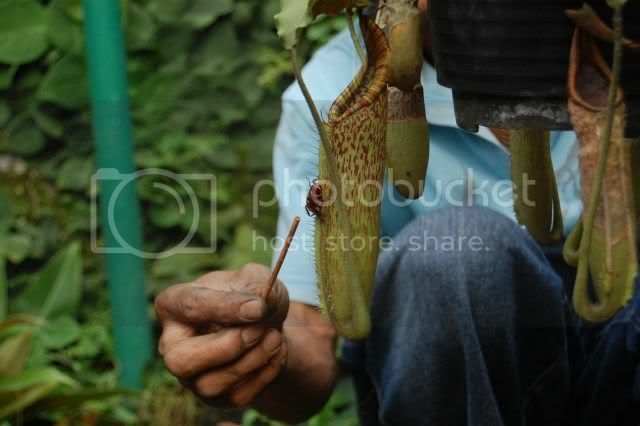 Maybe KTKI can help adding more photographs, including the photograps of wild nepenthes. Microsoft could be interested to become the sponsor for our expeditions. What happens if a pre-school teacher marries a carnivorous-plant (CP) lover? 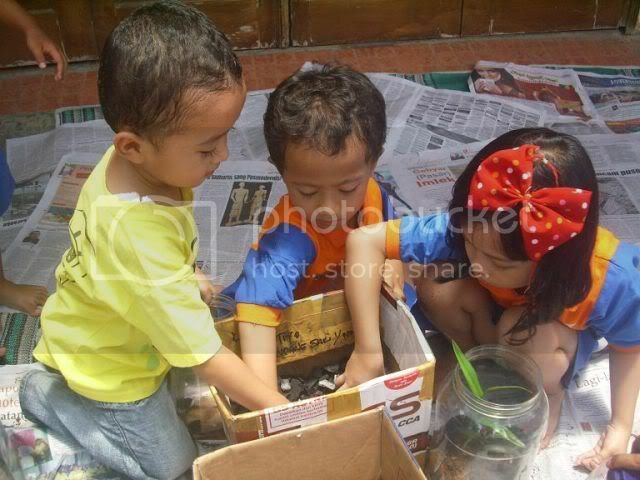 The Beetlebug’s CP terrarium project! 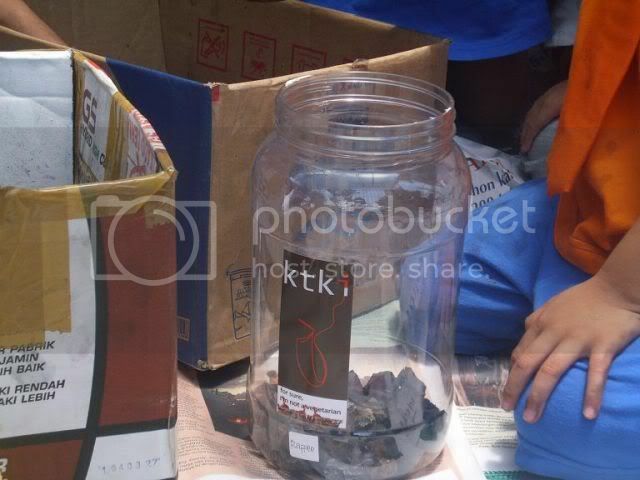 This fun yet educational project (held on February 20th, 2010) could be the first in Indonesia. 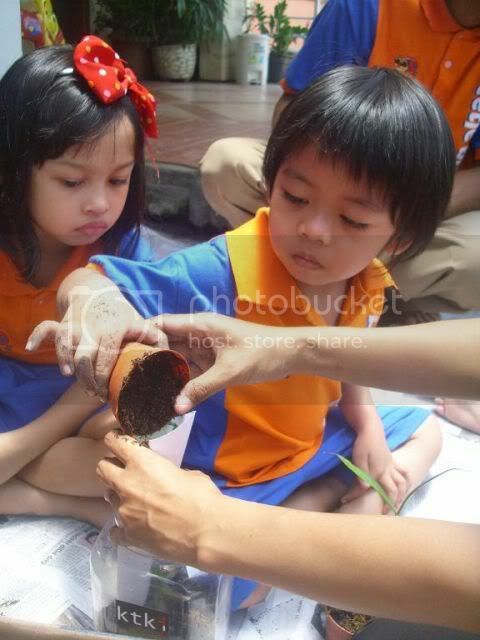 Ignatius Radityo Trihascaryo, a member of KTKI (Indonesian Carnivorous Plant Community) tells us the story of his wife, Margareta Puput Kurniawati, a teacher in Beetlebug Kiddie School in Semarang, Central Java. 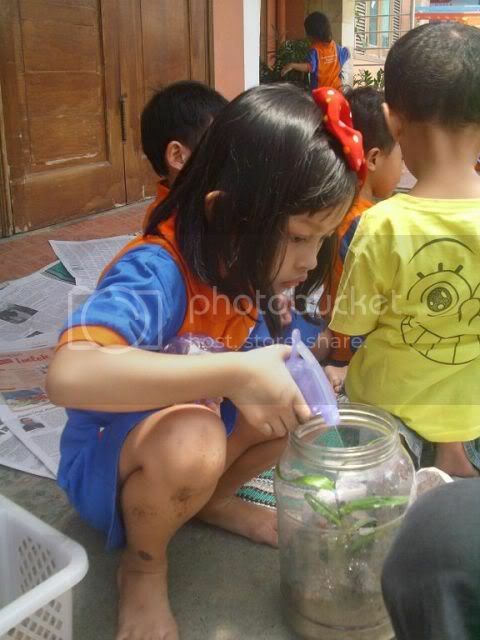 The idea of involving her students in building CP terrarium came to Margareta and Radityo after a few years of dealing with his CP at home. In their garden there are many types of Cp, including tropical pitcher plant (Nepenthes), a genus of CP the greatest diversity of which occurs on Borneo and Sumatra with many endemic species. The idea of this project is very simple. 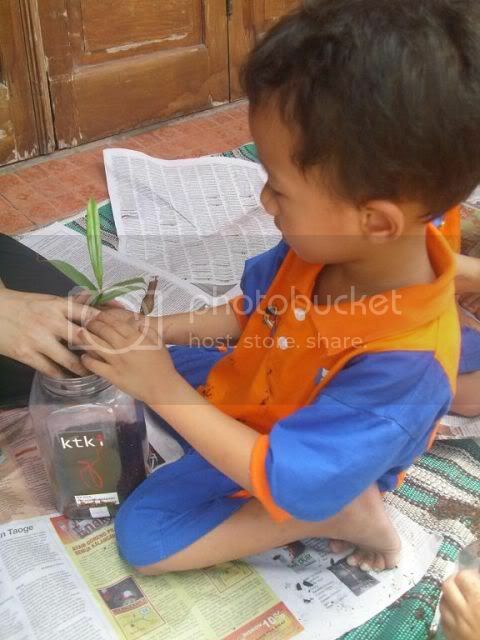 Each student is given a small glass jar, a small Nepenthes gracilis plant and of course the growing medium. It seems that pictures are better than words, so please, enjoy these photos! I think that what your doing is wonderful. Keep up the good work!